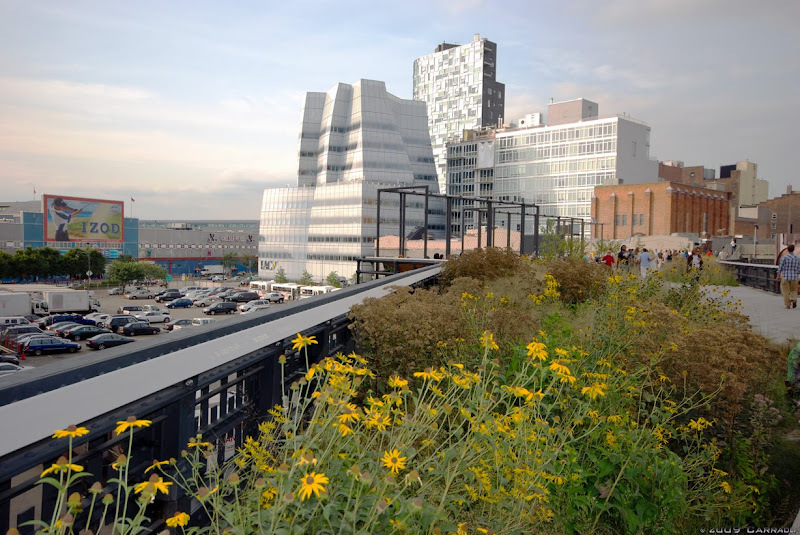 The High Line and in the background the Chelsea Piers & The IAC Building by Frank Gehry. I remember this! Have a similar shot, and only the big ad across the way is different. They really have transformed that area. Gehry would approve of this shot, I think.